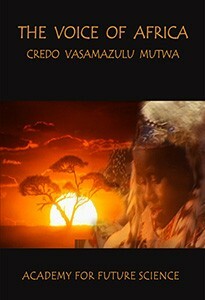 Combining eloquent poetry with historic discussion, this film explores the life and times of Zulu Shaman, Credo Vusamazulu Mutwa in South Africa on important subjects. Shot with a professional film crew in the depths of troubled Africa in 1987, the story of change and spiritual discourse offers revelations and inspiration from a leading Zulu thinker who has played an important role on the world scene. Though designed as a documentary, this film can be used as an introduction to some of the most fascinating teachings of planetary contact with higher intelligence from a respected writer of the great African classic, Indaba my Children. There are three extras with this video, two interviews between Dr. J.J. Hurtak and Credo filmed in 2002 and 2012 and an ET Encounter Credo experienced. DVD #2: Extras: Two interviews between Dr. J.J. Hurtak and Credo filmed in 2002 and 2012 and an ET Encounter Credo experienced.